Find below the list of top schools in Kanadia Road - Indore with phone number, address, 360° School tours, 2018-19 Admission forms & Fees, photos, facilities & more. 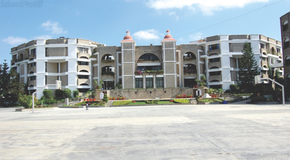 Spring Vally Public School is located in Kanadia Road, Indore. It was established in 2000. This school follows the CBSE board. The school has English medium. 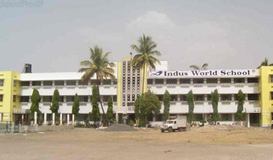 Laurels School International is located in Nanda Nagar, Indore. It was established in 1989. This school follows the ICSE board. The school has English medium. Agarwal Public School - the premier Educational Institution in Central India. A trendsetter as one of the first fully integrated school in this part of the country. The School is affiliated to Central Board of Secondary Education (CBSE affiliation no: 1030084). It is a co-educational school from Nursery to Class XII, having day-boarding facilities for both girls & boys and residential facilities only for boys from Class 1. 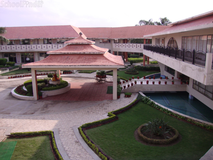 The school offers Mathematics, Biology and Commerce streams at Senior Secondary Level. The school has introduced Day Scholar category in separate building from session 2012-13 starting from Nursery to Class V wich will gradually increase upto Class XII. In day scholar there are separate timings for Boys and Girls. Columbia Convent School is located in Bicholi Mardana, Indore. It was established in 1991. This school follows the CBSE board. The school has English medium. Little Flower School Indore is located in Khajrana Road, Indore. It was established in 1972. This school follows the CBSE board. The school has English medium. Saraswati Shishu Mandir is located in Vaibhav Nagar, Indore. It was established in 1966. This school follows the CBSE board. The school has English medium. 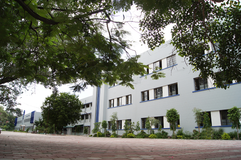 St Raphael's Higher Secondary School is located in Sehore Road, Indore. It was established in 1928. This school follows the CBSE board. The school has English medium. St. Paul H.S. School was begun as the boys' section of St. Raphael's H.S. School near Sat Prachar Press in 1956 with Sr. Ann as the principal and Fr. J. Partch as the in-charge. The first batch appeared in the H.S.S.C. Examination in 1962. In 1963, with the appointment of Fr. Wilhelm J. Lenzen as the first Principal, the boys' section was separated from St. Raphael's with its own recognition, identity and name. 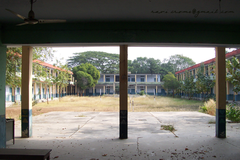 As the school grew up, the secondary section was separated and shifted to the new campus on the Boundary Road in 1975. Ever since its inception, the school has had the privilege of the able leadership of eight Principals, eight Vice Principals and over 200 committed teachers. They were instrumental in moulding thousands of citizens, ranging in three generations, who are rendering their relentless service today in India and abroad as scholars, public servants, defence officers,doctors, engineers, industrialists, scientists, information technologists, philanthropists. Are you worried about your child's admission to a school? 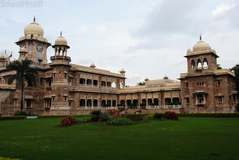 Worried about interviews in the best schools in Kanadia Road - Indore? All it takes is a little bit of planning and going for a lot of options, which can be found on Sqoolz's list of best schools in Kanadia Road - Indore. The top schools in Kanadia Road - Indore are registered with us. Find all their details - location, address, fee structure, facilities and more! Also take our virtual tour, a feature that gives almost a first-hand experience to parents.